The history of the Inter-Section Centre began with sad news: Monique Cormier-Gagnon, a Gatineau resident and mother of a schizophrenic son, learned in the mid-80s that her son ended his life in the Hull detention centre. During her mourning, she discovered how few emergency and rehabilitation services were available for people with mental health problems. That’s when Ms. Cormier-Gagnon decided to set up a service centre whose mission would be the rehabilitation and social reintegration of adults with mental health problems: the Inter-Section Centre opened as a day-centre in 1988. 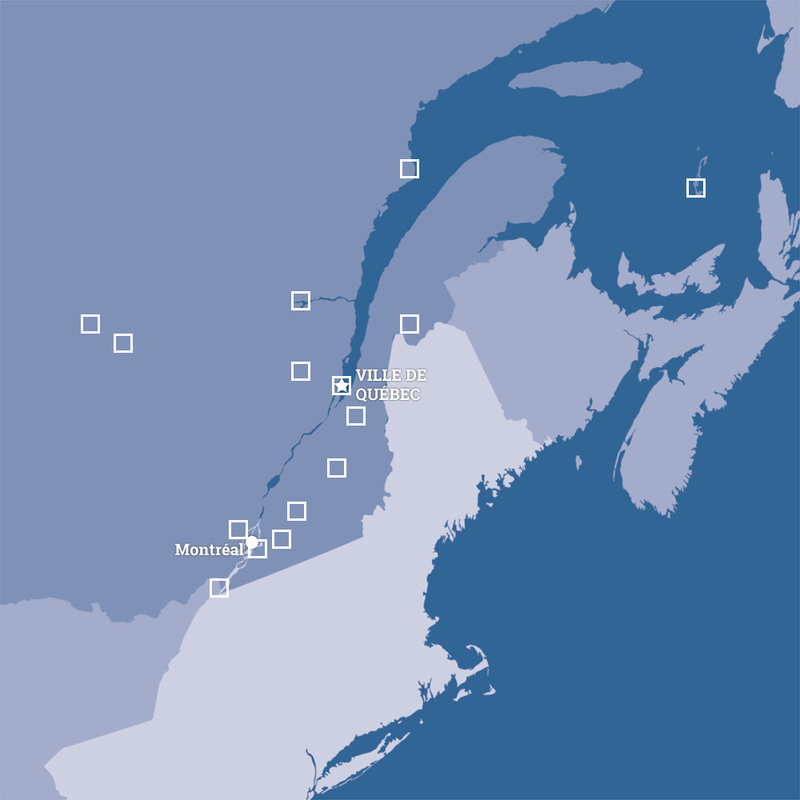 The center quickly became too small to serve its growing clientele and moved from one location to another, finally purchasing its current site on St. René West in Gatineau in 1998. At that time, however, it was still just a day-centre and there was a demand for permanent housing. It was difficult at the time for people with mental health problems to find safe and affordable housing in the region. The rapid transformation of the centre continued and, in November 2014, it inaugurated a new four-storey building with 35 housing units on the top three floors. The spacious three-and-a-half room units each have a large open area, kitchen-living room, bedroom and bathroom. The apartment includes a stove, refrigerator, cable TV and a balcony. The building also offers five units for residents with mobility problems. 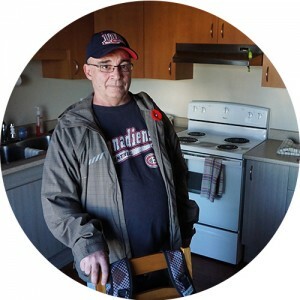 The organization benefits from the Quebec rent supplement program, which allows tenants, who are almost all on welfare, to pay just 25% of their income on rent. Although the day-centre can rely on experience gained over 15 years, the housing complex is a new stage in the impressive growth of Inter-Section. “Housing is new for us,” admitted Danny. The centre offers five services that cover all spheres of regular life: leisure, training, psycho-social support, employability programs and support programs for members of the public grieving a suicide. 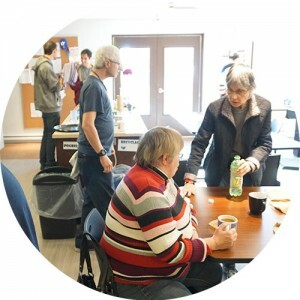 The canteen, for example, employs some of the tenants through an Emploi-Québec action program. The Inter-envol Cooperative, or COOPIE, a social economy business that specializes in scanning documents, allows others to train as scanning technicians, a title that will allow some to find full-time work. also houses a community radio station, which broadcasts three hours of live programming daily, and a community hall. Among the spaces set aside for directors and employees are offices for psycho-social councillors. Their actions are multi-layered. Among others activities, there is the “Grief after suicide” program, which provides collective or individual support groups where everyone can speak freely at their own pace and with the utmost respect. A first glimpse the centre shows the collective and participatory approach: a dozen people are and talking around the cafeteria tables, not far from a pool table. Large windows overlook an outdoor patio and the office of community radio station is broadcasting on the Internet.